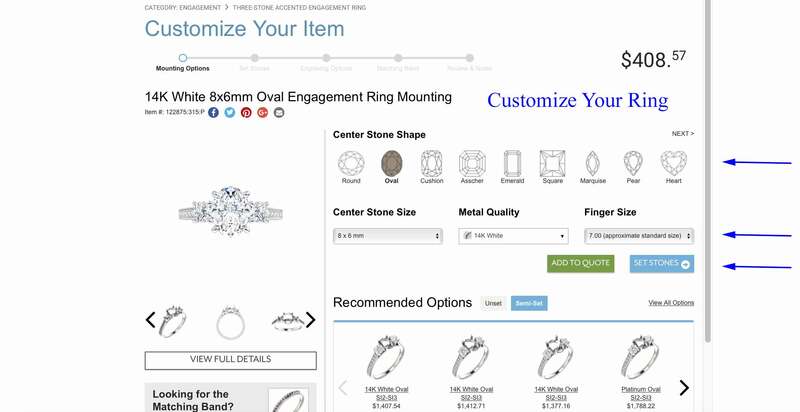 Below are step-by-step directions to order our pre-designed jewelry. 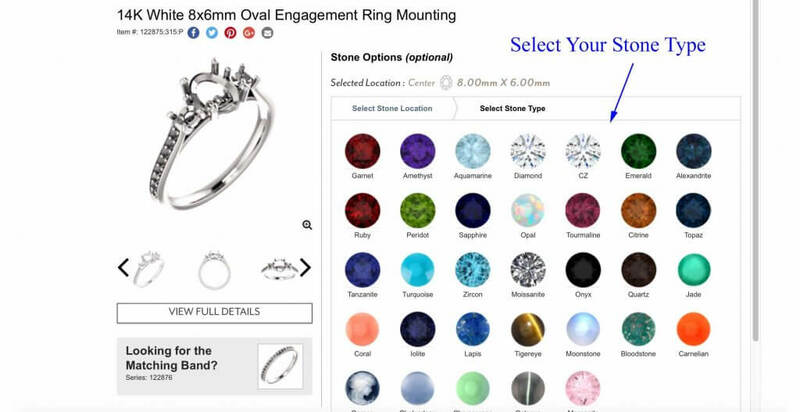 To help narrow down our large selection we have separated the rings into main category types. Choose the category that is closest to your desired style. Click on a style that you like. Don’t worry if the style’s center stone is a different shape than what you want. 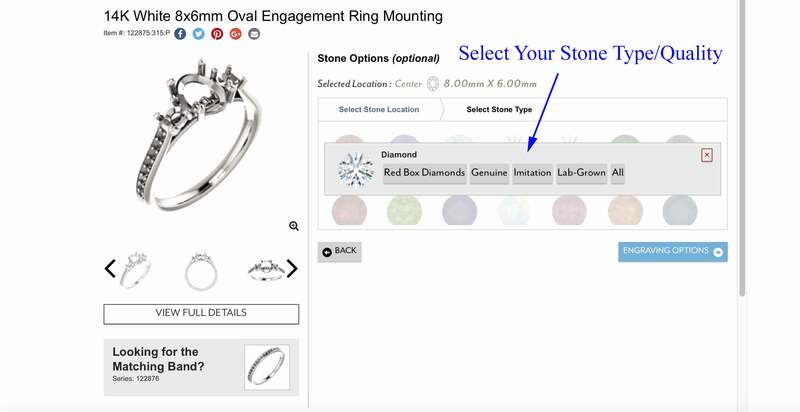 You’ll see the center stone shape options after you select the specific design. Now for the fun part! Change the center stone’s shape and size, the ring’s metal type and finger size, and even select the stones to be set. If you are not sure about any of the options, select the ones you know and include a note (during the final section) that you would like to help choosing the others. Want to do something not shown? Simply tell your Bespoke representative, and they will let you know all the possibilities. Plus, if needed, we can custom create a new ring based on your originally selected style. 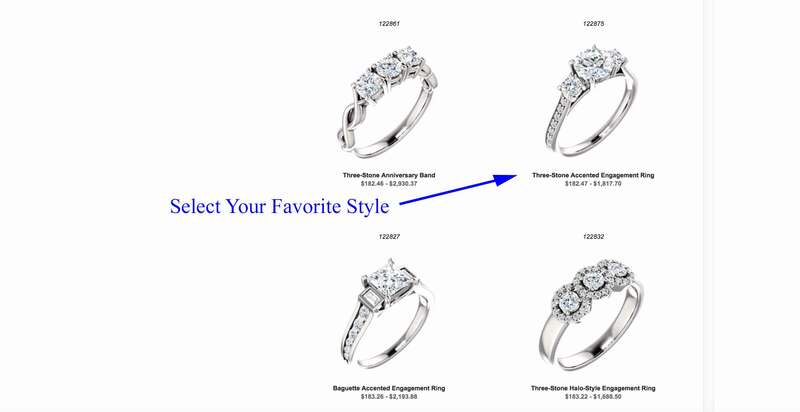 See “Set Stones” tab above for more information about selecting the ring’s diamonds and/or gemstones. When you’re finished with your customization, select the green “Add to Quote” button. Navigate to the top of the page and click the “My Quote” button (shopping bag icon on the mobile version). Look over the item(s) in your shopping bag to make sure that it is what you want. If correct, select the green “Submit Inquiry” button. 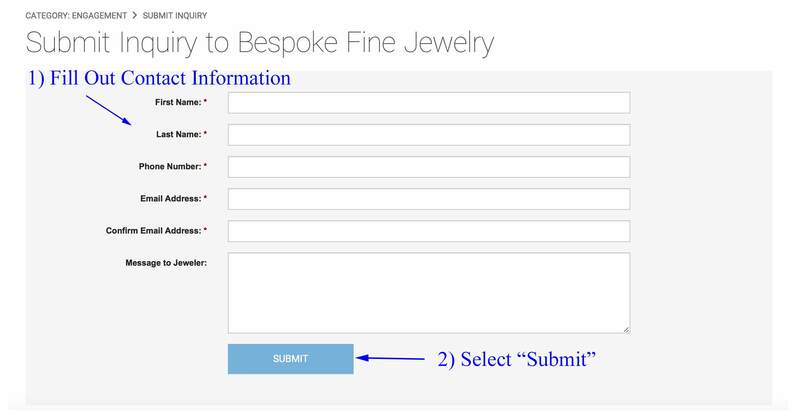 Fill out your contact information and select the blue “Submit” button. A Bespoke representative will reach out to review your order, provide final pricing, and send you an invoice to pay online. Choose the shape of your center stone from the options listed. 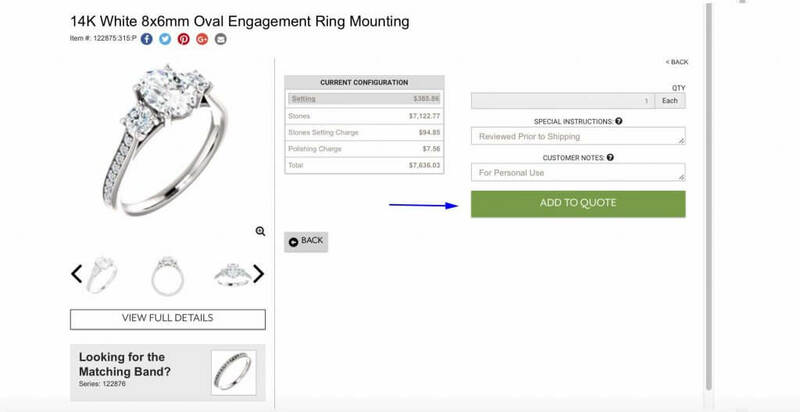 The sample ring on the left will change with your selection. 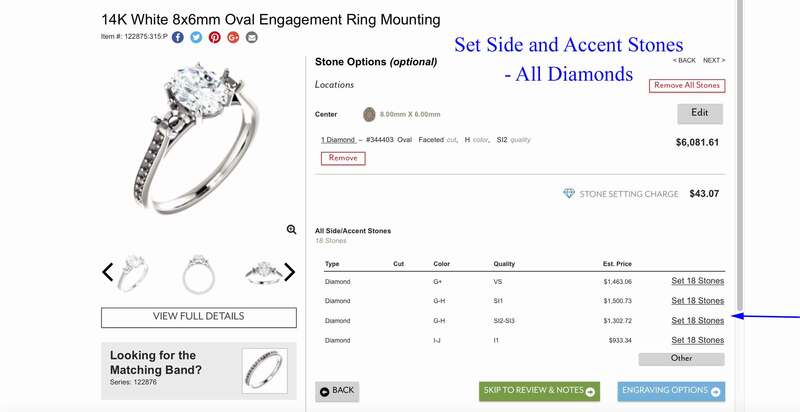 The center stone options are shown in millimeters not carat weight. To see the carat weight to millimeter conversion click here. You can also ask your Bespoke representative for help or contact us with any questions. Most rings are offered in a large array of precious metal qualities and colors. These metals is usually include sterling silver, 10K/14K/18K yellow/white/rose gold, palladium, or platinum. If you do not see your desired metal type, note this on your request or ask your Bespoke representative when they contact you to finalize the order. The best guide to knowing your finger size is having a local jeweler size your finger or a ring you wear often. If you wish to have a home guide, please print our ring finger size guide by click here. If you are unsure of your size, go with the larger of the two or discuss it with your Bespoke representative. You selected your ring style, the center stone’s shape and size, and the ring’s metal type and finger size. Now it is time to select the ring’s diamonds and/or gemstones. 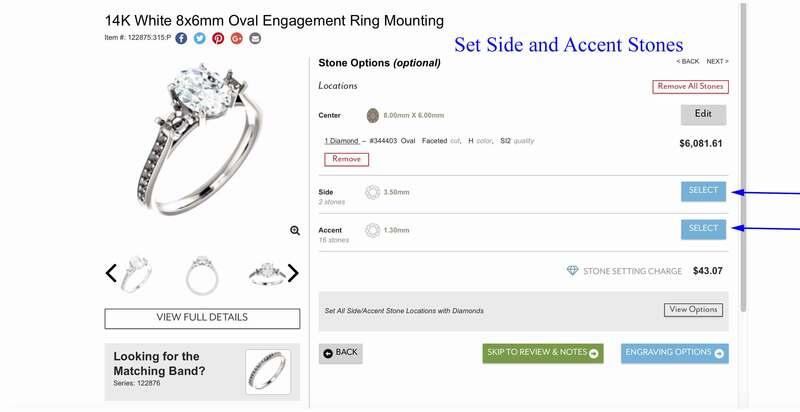 For this example we will select style 122875 with an 8×6 mm oval center set in 14K white gold with a size 7. Click the blue “Select” button on the Center line. Choose the diamond or gemstone you wish to be set as the center stone. Choose the diamond or gemstone type: natural or lab-grown, certified or uncertified (see below picture for descriptions of each). 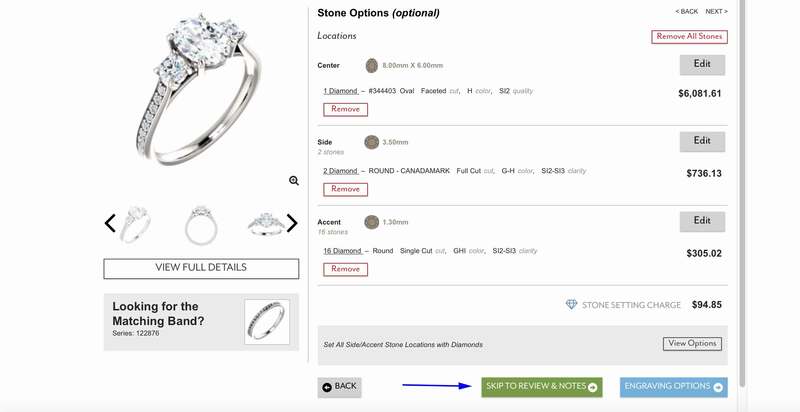 Red Box Diamonds: Certified natural diamonds from GIA, EGL-USA, etc. Black Box Gemstones: Certified natural gemstones- usually sizes larger than 0.50 ct. 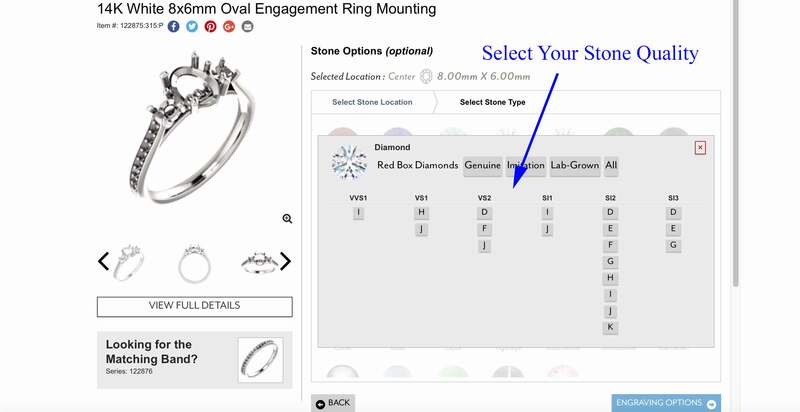 If you don’t see your desired diamond or gemstone listed, leave this part unselected. A Bespoke representative will be happy to assist you in finding the perfect diamond or gemstone. In most cases, we will also set your own center stone for an additional charge. 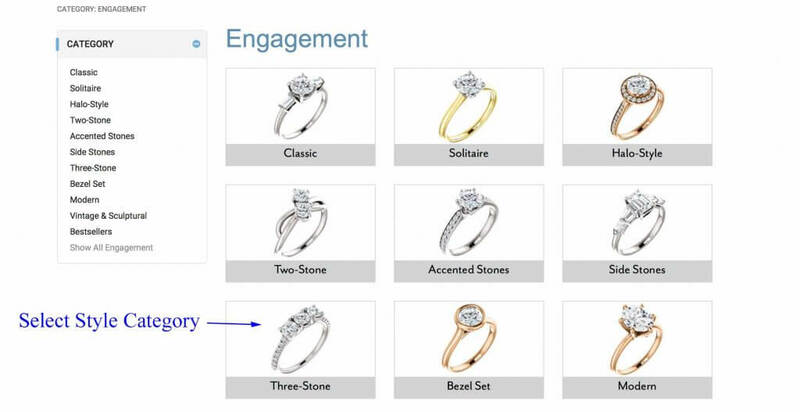 For center diamonds you can select your desired clarity (horizontal heading) and color (vertical buttons). Learn more about diamond clarity and color by clicking here. 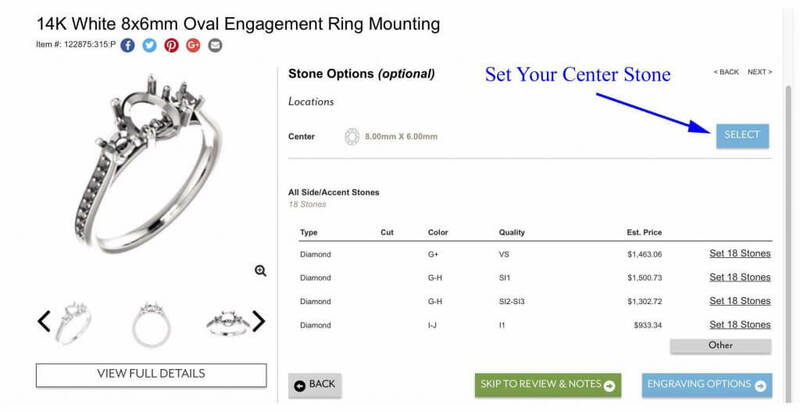 Once your center stone is set it is time to continue on to the ring’s side or accent stones (if any). Choose to set all the side and accent diamonds (if any) with the same color/clarity quality diamonds. Choose to set the side and accent stones (if any) with different color/clarity quality diamonds and/or gemstones. Once you are finished setting your stones (or wish to have no stones set), click the green “Skip to Review & Notes” button. After reviewing your request, select the green “Add to Quote”. This will place your quote in the shopping bag at the top right part of your screen above the search bar. 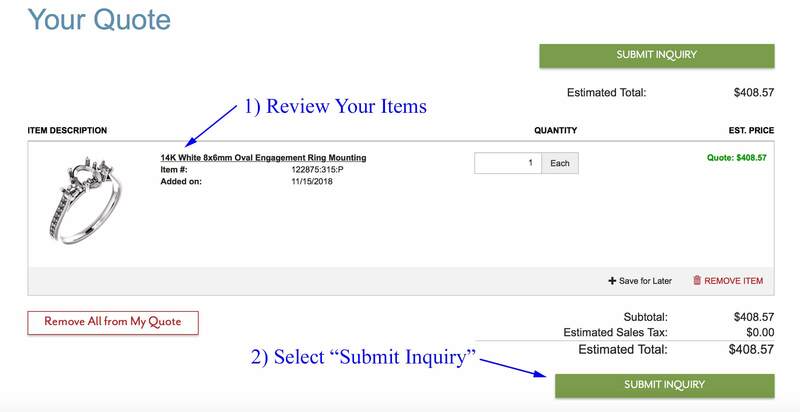 For further help, see the “Order Overview” tab above in this Online Help section.